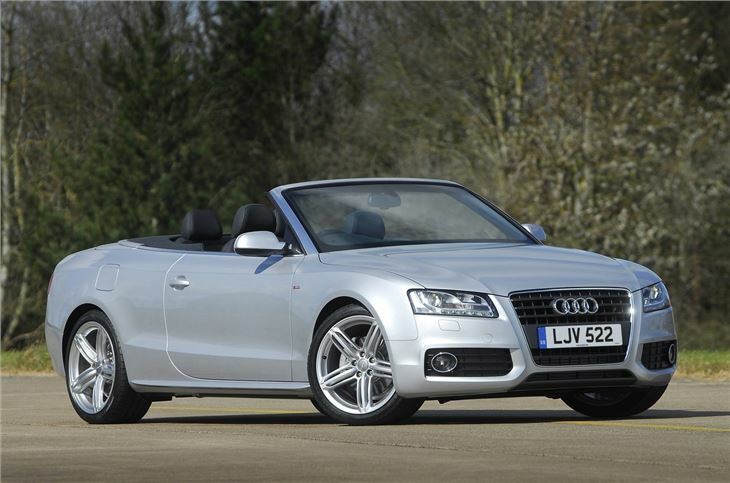 Good looking convertible that effectively replaced the popular A4 Cabriolet. High quality and stylish cabin. Number of faults and problems with early production. 2.0 TSI can have high oil consumption. Significant problem of leaking roofs swamping electrics, including ECUs. 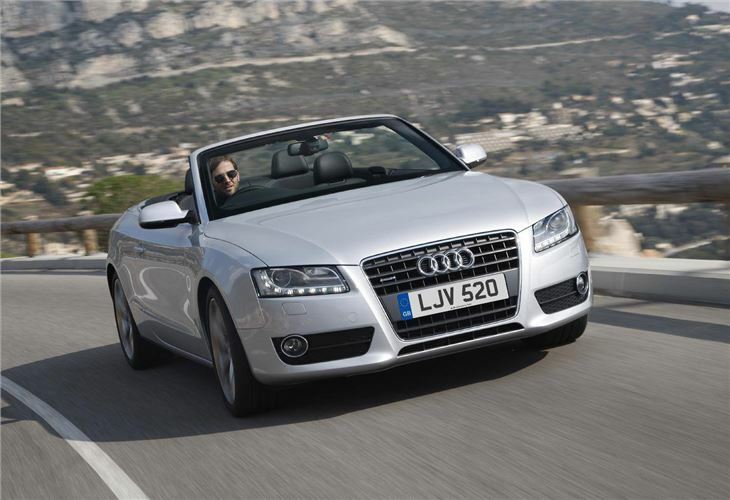 Audi kept knocking out its 80-based four-seat Cabriolet long after the car on which it was based had been replaced. An enduringly handsome European car, it was favoured by the Princess of Wales, and liked for its quality build and style. 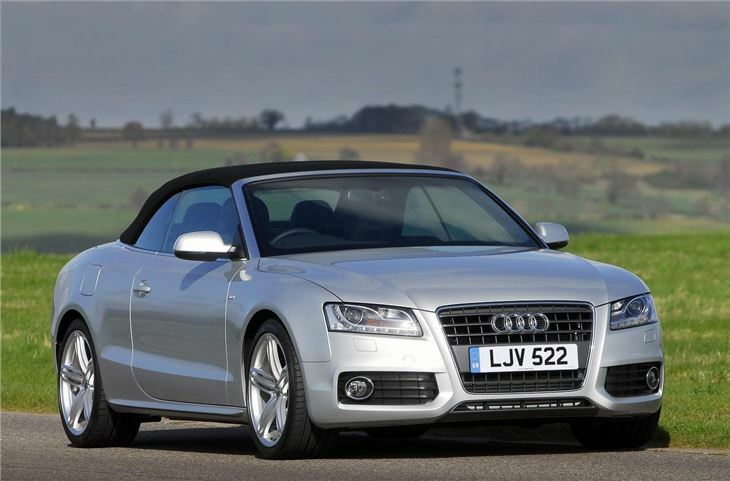 Chopping the roof off made it a bit of a jelly to drive, but that hardly got in the way of sales. 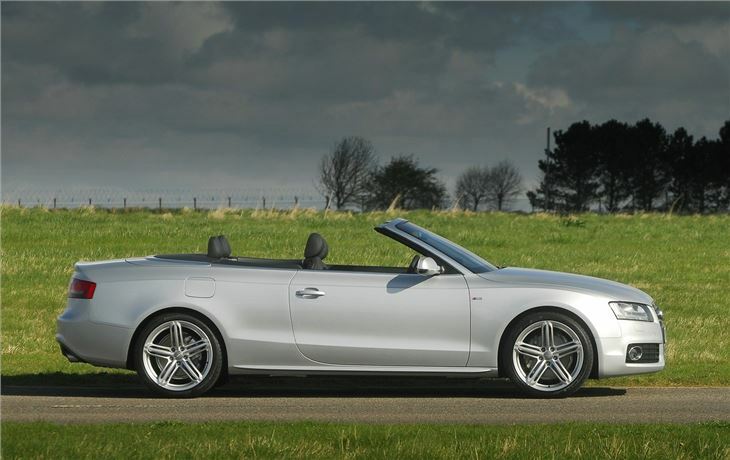 Things changed when the A4 cabrio was launched. 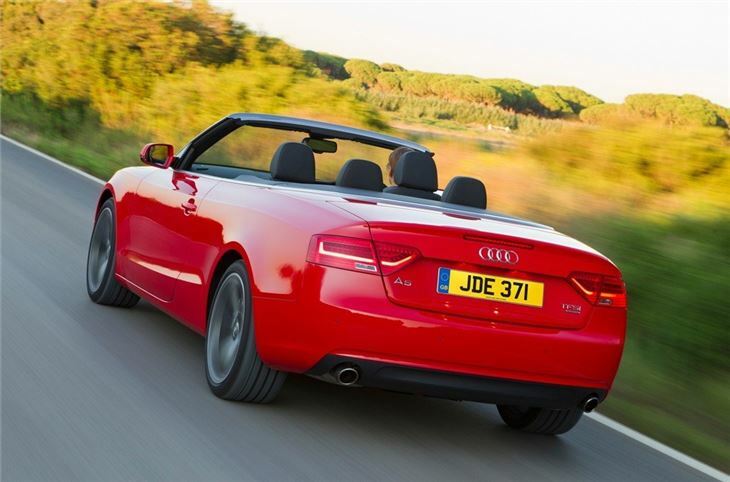 Audi did a thorough job in making it bodily solid and introduced the innovation of diesel versions, something which now hardly raises an eyebrow. 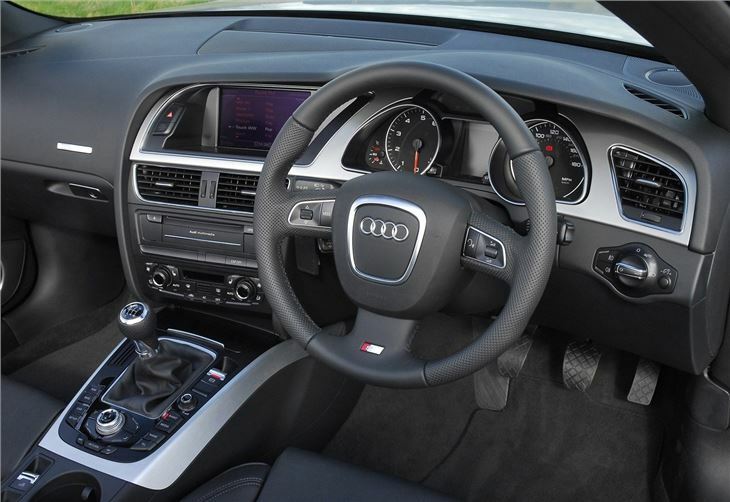 That process has continued with open versions of its handsome A5 coupe, which are now reaching UK showrooms, and in engineering terms are hardly poor relations, being as up to date as anything Audi produces.